It should go without saying that recycling is very important for our planet. You don’t have to change your lifestyle to get more recycling done. Recycling opportunities are all around us. 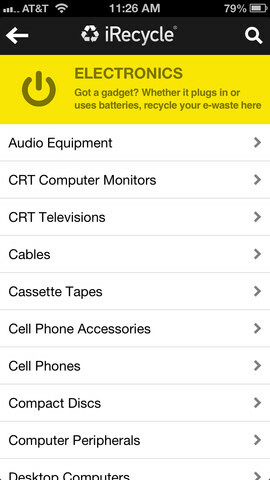 iRecycle for iPhone is a beautiful application that provides you with local recycling opportunities. It is more than useful for those of you who may not know what to do with the gadgets you already own. 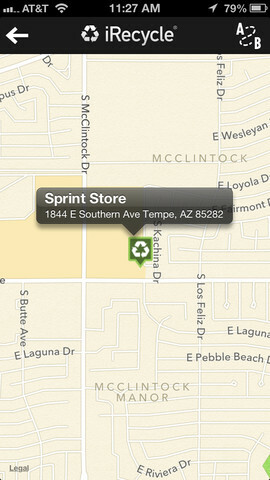 iRecycle has something for everyone. It covers electronics, glass, metal, plastic, and hazardous material. Over 350 materials are covered. Just use your location to find collection points all around you. iRecycle is Facebook and Twitter friendly also. iRecycle is perfect for those who are just getting serious about recycling. It covers plenty of household items and saves you time finding collection points around you. There is a lot to like about this tool.